Self-driving vehicles have been a centerpiece of the Consumer Electronics Show for several years now. At CES 2018 next week, they’re taking over the town. 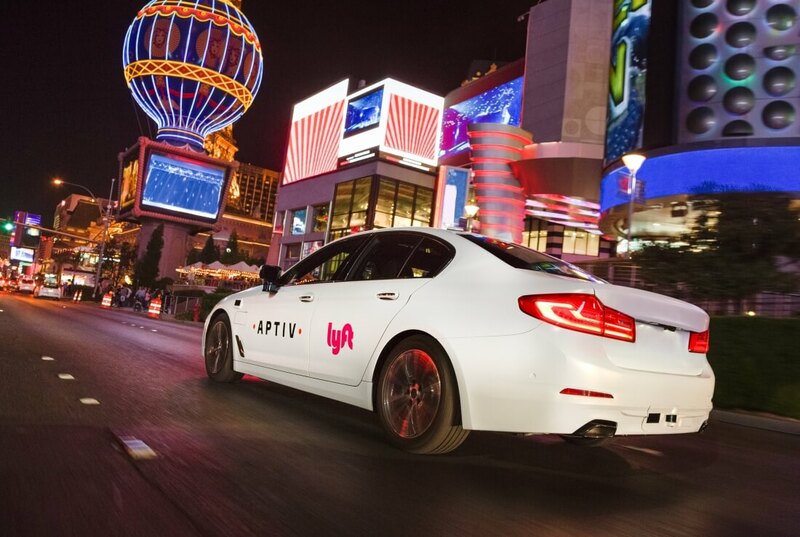 Autonomous driving solutions provider Aptiv on Tuesday announced a partnership with Lyft to demonstrate a “fully automated point-to-point ride-hailing experience” during CES. The duo will offer rides to more than 20 pre-determined destinations throughout Las Vegas from January 9 through January 12. Lyft passengers will be able to request a self-driving ride from the gold lot of the Las Vegas Convention Center (seemingly making this a CES attendee-only experience). Riders will tour an informative exhibit before their ride and again while in the car courtesy of an in-car host (there’s also a “safety driver” behind the wheel… you know, just in case). The demonstration, says Aptiv President and Chief Executive Kevin Clark, is designed to represent a real-life application of scalable, automated driving technology. Aptiv and Lyft won’t be operating the only autonomous transportation in town. In November, a self-driving shuttle developed by French start-up Navya and operated by private transportation company Keolis launched in Las Vegas. Unfortunately, things didn’t go very smoothly as the bus was involved in a fender bender within its first hour of service (a human driver accidentally backed into the shuttle). CES officially gets started on January 9 and wraps up on January 12. Aptiv says it will be ready to scale in production by 2019.